In today’s demanding world, stress comes in many forms, from the food we eat to the air we breathe, from mental worries to physical aches. That’s where licensed acupuncturist and chiropractor Dr. Neil Koppel comes in, offering natural health care to clients who feel off balance. Dr. Koppel's offices are located in the New York City suburb of Great Neck, N.Y. “You will get the sense that you are in the right place,” Dr. Koppel says of his modern office, designed to be immediately inviting. Dr. Koppel strives to offer sessions that are healing and peaceful, complete with appropriate ambiance, lighting and sound. He believes the best compliment a client can give is a referral to a family member or friend, since it is a testament to a job well done. Treating clients of all ages, Dr. Koppel receives the greatest feeling knowing that he has helped a child to build a stronger immune system, or decreased a client's pain or discomfort. 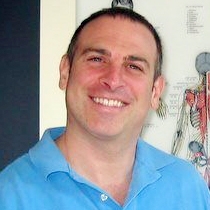 He has more than 16 years of experience and has treated a wide variety of clients, from those dealing with stress and back pain to individuals with autoimmune issues and digestive disorders.